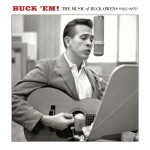 With the wealth of terrific material included on the first volume of Buck ‘Em!, a second volume had a high mark to reach. But by splitting the sets by era – 1955-67 for the first set, 1967-75 for this set – this second collection is no second helping. Volume one established Owens’ Bakersfield legacy, while this second chapter shows how he extended his reach, responded artistically to changing times, and used his commercial success to free himself of commercial restrictions. As on the first set, these two discs include hit singles, well-selected album cuts, and a sprinkling of tracks previously unreleased in the US. And also as with the first set, the liner notes are cannily drawn and craftily assembled from Owens’ like-titled autobiography, giving the artist an opportunity to expound on his own work. 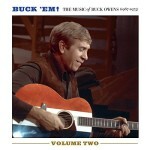 By 1967 Buck Owens was one of country music’s biggest stars, having landed eight albums and twelve singles at the top of the charts in only four years. He kicked off 1967 by expanding his fame internationally with a concert in Japan and its subsequent chart-topping album. This set picks up later in the year with sessions that produced “Sweet Rosie Jones,” the like-named album, and the title track of what would become 1970’s You Mother’s Prayer. For the first time since Owens began his streak of hitmaking, the drummer’s throne was occupied by Jerry Wiggins, in place of the departed Willie Cantu. “Rosie,” “Let the World Keep On a Turnin’” (sung with Owens son, Buddy) and “I”ve Got You on My Mind Again” all charted Top 10, but it took “Who’s Gonna Mow Your Grass” to get Owens back to the top spot. Throughout 1968, Owens expanded his reach, recording the Latin and polka-styled instrumental album The Guitar Player (represented here by “Things I Saw Happening at the Fountain on the Plaza When I Was Visiting Rome or Amore”), adding Don Rich’s fuzztone guitar to “Who’s Gonna Mow Your Grass,” and teaming up with Susan Raye for “We’re Gonna Get Together.” The latter, recorded in 1968 wasn’t released for two years, which hints at Owens’ incredible productivity. 1968 found Owens playing a command performance for President Johnson at the White House, represented here by “Tiger By the Tail,” and also marked the departure of steel player Tom Brumley, who was replaced early the next year by JayDee Maness. Maness would leave by year end, leaving Owens without a steel player in the band. 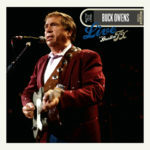 1969 started similarly to 1967, with an international tour that yielded the live album Buck Owens in London and the chart-topping single “Johnny B. Goode.” Live recording continued to be a regular feature of Owens’ catalog, with “Big in Vegas” (a rewrite of Terry Stafford’s “Big in Dallas”) and “Las Vegas Lament” recorded live in Las Vegas, and “Tall Dark Stranger” recorded in Scandinavia. 1969-70 saw many more changes for Owens, including a move from Capitol’s famed Los Angeles studio to his own place in Bakersfield, the arrival of keyboard player Jim Shaw (who’s terrific live piano playing can be heard on “I’ll Still Be Waiting for You”), and perhaps most importantly, Hee Haw. The latter, initially a CBS network show, provided the sort of financial compensation that records rarely did, and it freed Owens to chase his musical muse without lashing it to commercial considerations. Owens’ records through the mid-70s never regained the chart performance of his earlier releases, but there were still plenty of excellent albums and singles, including Gene Price’s “Something’s Wrong” and Owens’ “In the Palm of Your Hand,” the latter highlighted by Don Rich’s fiddle. 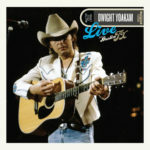 Even more important was an album track that would be remade into a huge hit fifteen-years later, Homer Joy’s “Streets of Bakersfield.” The original is more sedate than the chart-topping remake Owens recorded with Dwight Yoakam, but it provided the template for the hit. Owens returned to the Top 10 in 1973-74 with a string of upbeat novelty songs, “Big Game Hunter,” “On the Cover of the Music City News” and “Monster’s Holiday,” but his mirthful side was about to go into hibernation. In July, 1974, Don Rich, was killed in a motorcycle accident, and Owens fell into a deep depression. He’d continue to record and release records, but the latter-half of the ‘70s found his singles failing to make much of an impact on the charts. 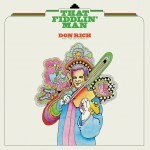 His last Top 10 single for Capitol, “Great Expectations,” was also the last to feature Don Rich. 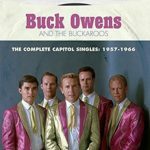 By 1981, Owens had turned his attention to his many successful business ventures, and he began a hiatus from the charts that lasted until “Streets of Bakersfield” and Dwight Yoakam reinvigorated his interest in recording and performing. In the mid-90s he built the Crystal Palace in Bakersfield, where he’d regularly perform to enthusiastic crowds and broadcast live over his own KUZZ radio. 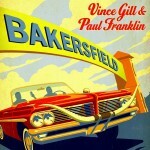 A collection of recently released country, Americana, rock and folk, plus a few catalog items for good measure. Click the artist names below for associated album reviews.